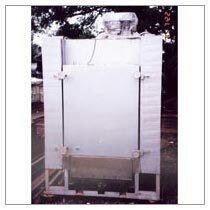 We are an eminent Manufacturer, Supplier and Exporter of Tempering Furnace from Mumbai, Maharashtra. Tempering Furnace provided by us is effective in reducing stress and lowering hardness of steel to meet certain mechanical specifications. Because of its high durability, great conduction speed, and effective insulation, our furnace is popular among various industries. Buyers from all over the world can get in touch with us for ordering bulk quantities of Tempering Furnace at affordable rate.